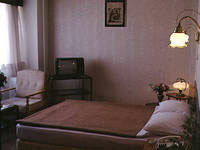 Bursa Artic Hotel - Yume Tours Travel Agency Turkey, Turkey Hotels, Travel Destination Turkey. In city center, Bursa airport 4 Km. All room with shower and toilet, direct dial telephone, balcony, central heating, TV. 1 restaurant, breakfast hall total cap: 150, bar.